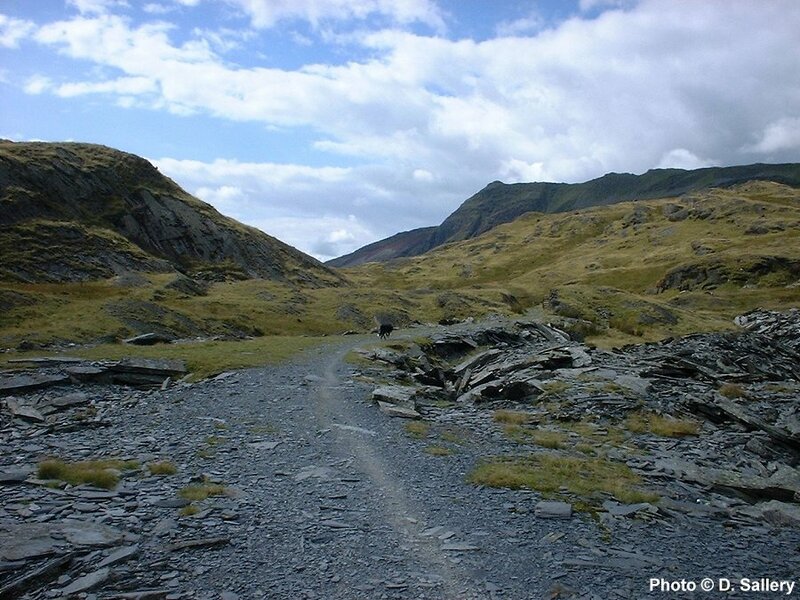 Views of the tramway route from Rhosydd to the Croesor Tramway. The tramway route leaving the quarry. My faithful sheepdog is leading the way! The remains of an abandoned wagon can be seen at the bottom of this stone embankment. 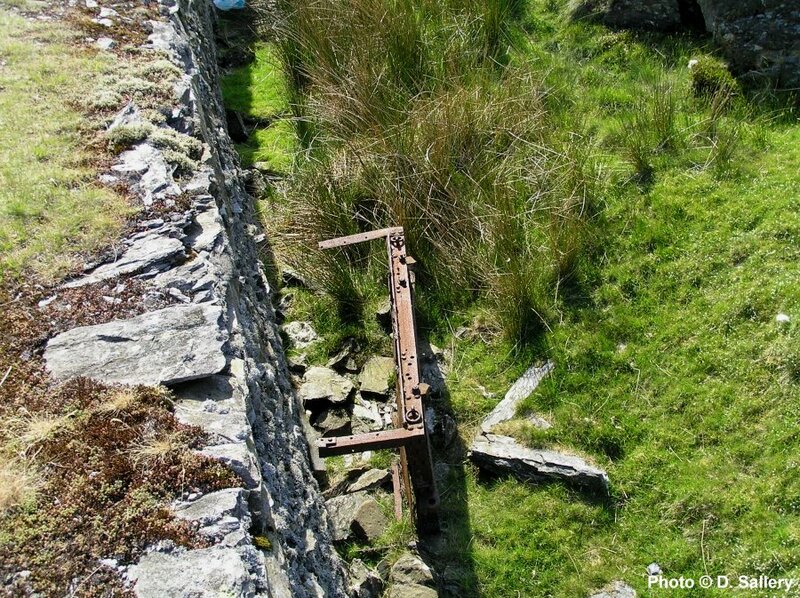 The tramway is now on a narrow shelf above Cwm Croesor. are visible at the top right. High above Cwm Croesor with the summit of Cnicht visible. This is the incline brakesman's shelter at the end of the tramway and the top of the incline. 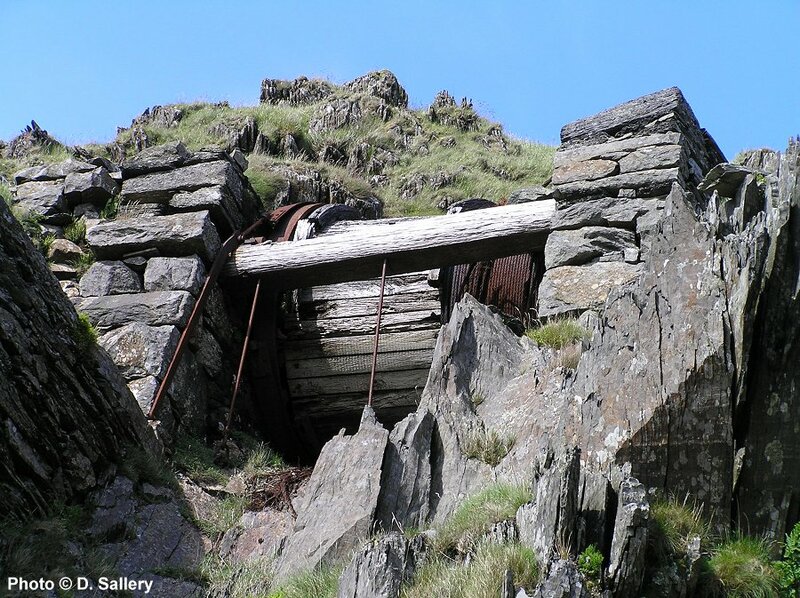 A brake wheel mounted on the large flat slate plinth worked the brake on the drum which is 20 metres above on the exposed mountainside. Looking up at the incline drum from the tramway. The drum would have been roofed when in use. Looking from above the incline drum to the tramway level below. Considering that this drum has not worked since 1944 it is in remarkably good condition. 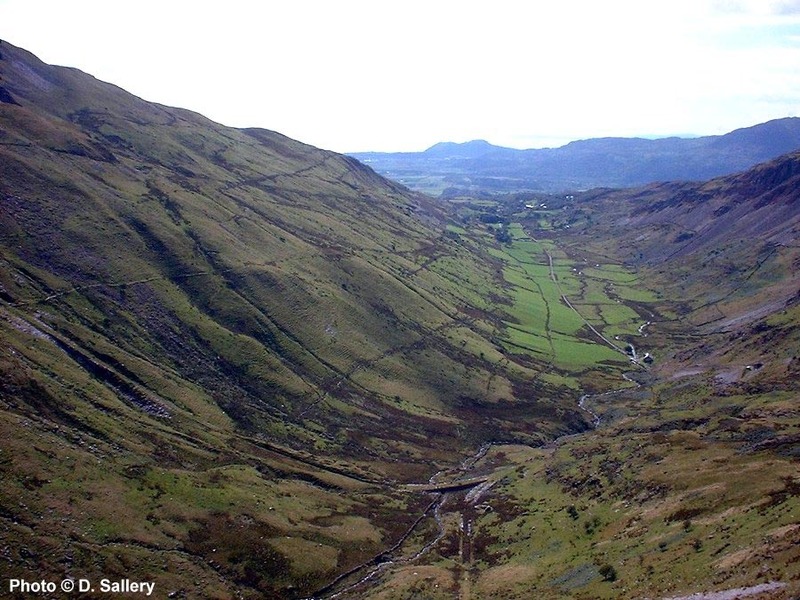 The spectacular view from the head of the Rhosydd incline looking down into Cwm Croesor. 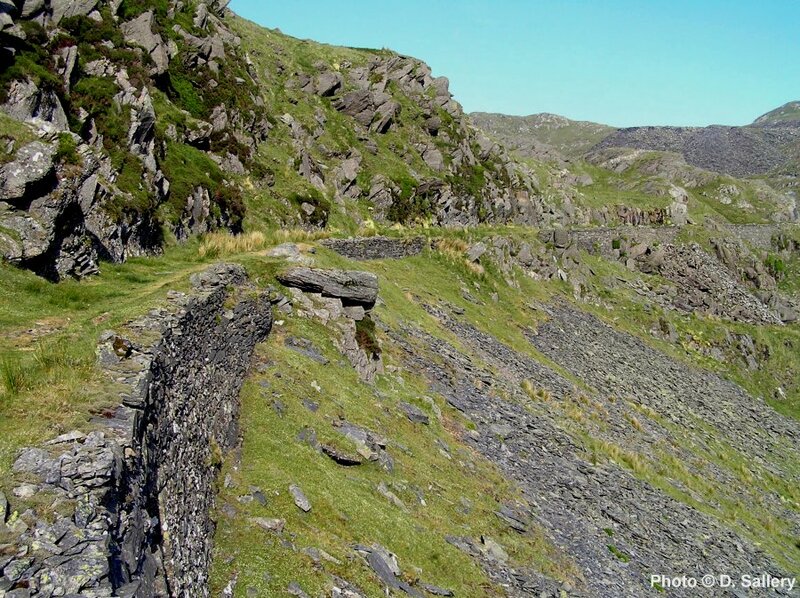 The V shaped junction between the Rhosydd and Croesor quarry inclines is towards the bottom of the photo. 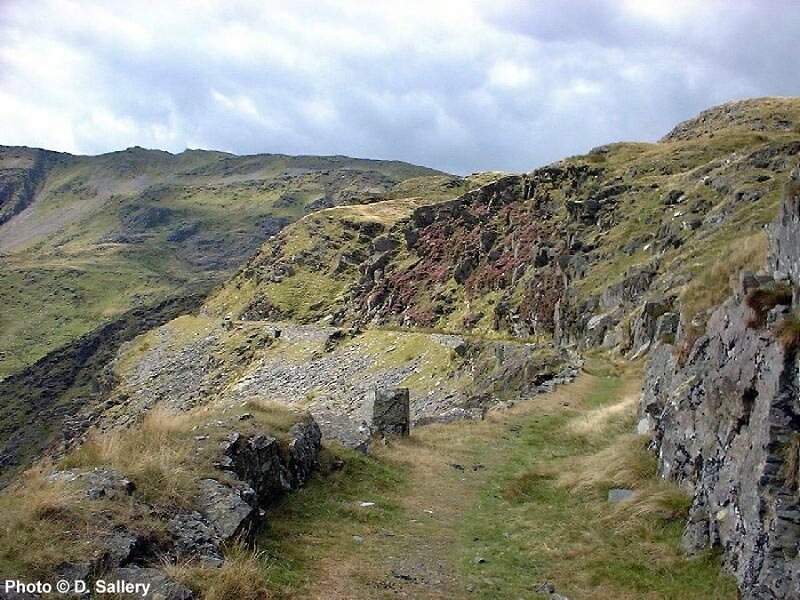 The route of the Croesor Tramway on to Porthmadog can be seen as the white line in the bottom of the valley. 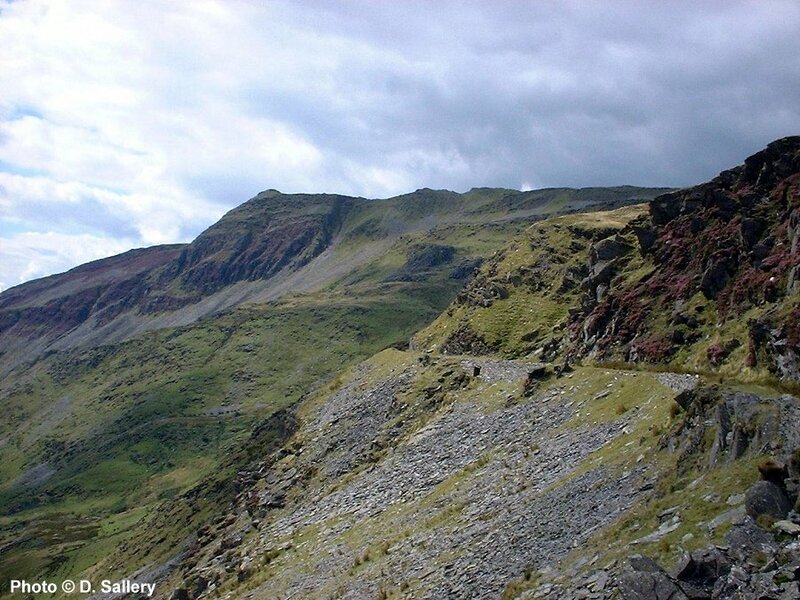 The miners track to Rhosydd is the white path on the left hand slope. The double hill in the centre top is Moel y Gest at Porthmadog. 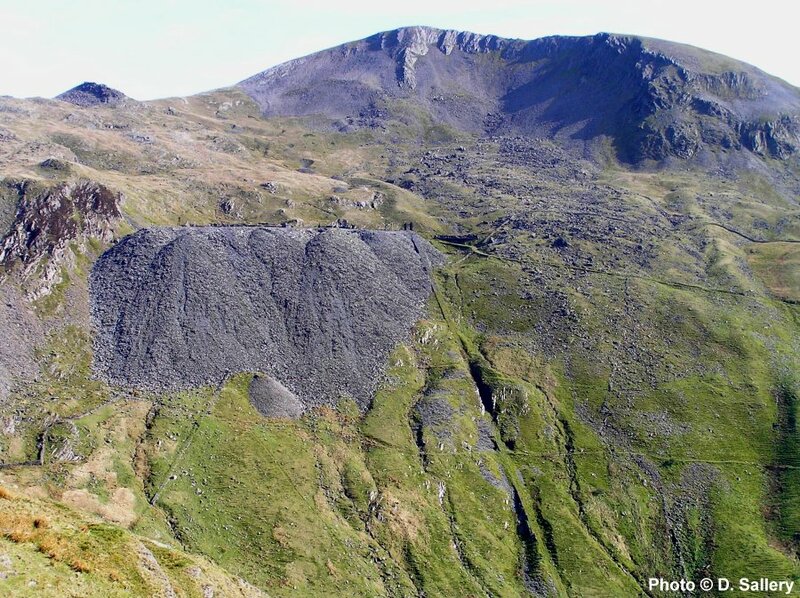 Looking across at Croesor Quarry from near the head of the Rhosydd incline. The mountain behind is Moelwyn Mawr. 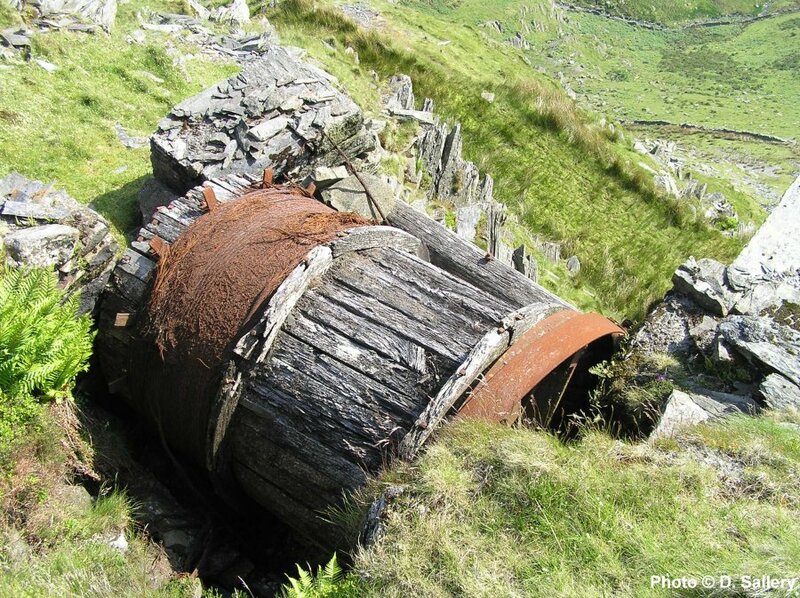 The miner's track to Rhosydd passes from right to left at the bottom of the Croesor quarry waste tips. 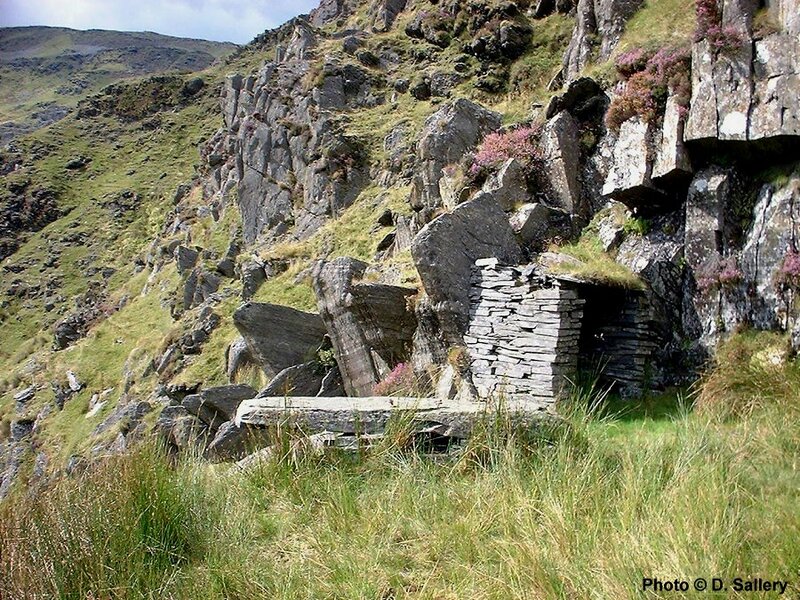 The steep incline from the quarry joins the Rhosydd tramway at a Y shaped junction at the bottom of the valley.